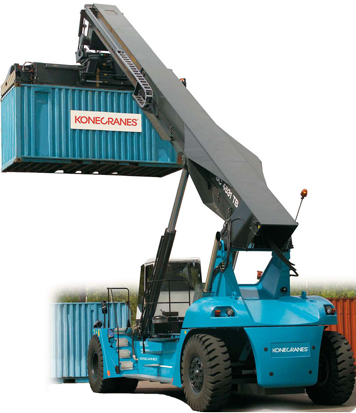 Kone Crane’s latest generation of SMV reach stackers is based on over 50 years of experience of designing and customizing trucks for the most demanding applications. This knowledge combined with modern, proven technology underlies the market’s most extensive series of powerful and reliable Reach stackers. 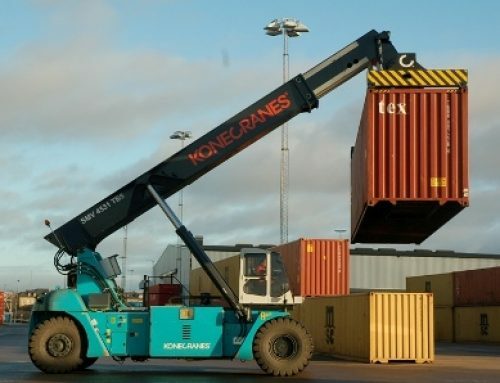 SMV’s long-term, close collaboration with its customers provides them with deep and unique knowledge of container handling and the different needs found in the world’s ports and rail terminals. That’s why SMV offer the broadest range of reach stackers – adapted to your needs. No matter which model you choose from the new reach stacker series, it features an array of innovative solutions such as the box-type chassis, load-sensing hydraulics (power-on-demand), electronic controlled low-emission engines, electronic overload protection, and a newly designed cabin with improved ergonomics. We offer a complete line of powerful Reach stackers for handling empty and laden containers, for trailers on railroads with multiple tracks, and for loading barges at waterways. We also have reach stackers for industrial handling of steel slabs, steel coils, pipes, heavy machinery, concrete, stone, and similar goods. SMV reach stackers are delivered equipped with a tool carrier that makes it possible to use different types of equipment. 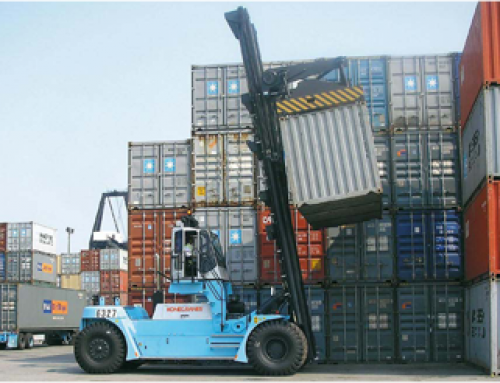 You can easily adapt the truck to handle different types of industrial goods and/or containers. 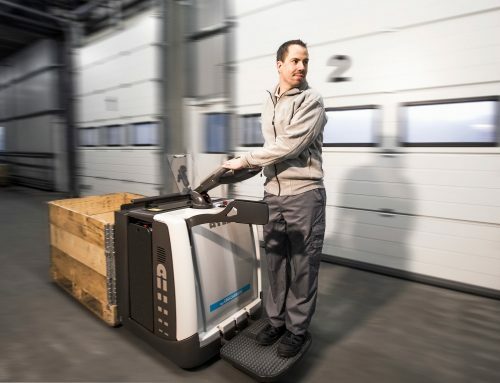 A reach stacker can rotate, turn, sideshift, and lift above different levels – movements which are impossible with a fork lift truck. This capability is one of the major advantages of a Reach stacker. The trucks are built on unique, heavy-duty box chassis in combination with well selected components and engines that deliver high torque at low revs. To take maximum advantage of the power the trucks have well-tested load-sensing hydraulics that provide increased efficiency and better performance. 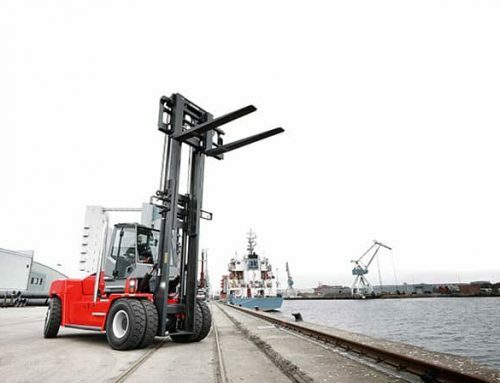 The reach stackers are equipped with load-sensing hydraulics to adapt the lifting power to the weight of the goods and the truck only provides maximum power on demand, when it’s really needed. In other words, the truck consumes less power and fuel while reducing emissions and noise. This technology offers many advantages: more easier lifts, smoother drive, and decreased wear on the engine, gearbox, and hydraulics. SMV knows that every customer has special requirements for the truck’s functionality and equipment. Its modular trucks are built based on your needs and requirements, which means the trucks can be tailored to your operation. You will appreciate the truck’s high performance, excellent handling, and outstanding service. Drivers must have a good workplace in order to work safely and effectively for long shifts. To meet this need, the cabins of the trucks are probably the best on the market, with unbeatable comfort, visibility, and ergonomics. The cabin features low noise levels and minimum vibration. The driver is not disturbed by vibrations from the engine or chassis. Large glass screens provide optimum visibility and the powerful ventilation system creates a pleasant climate. All instruments and adjustable controls are located at a comfortable distance from the driver. All reach stackers are equipped with joysticks and electronic overload protection, which makes the driver more efficient and the work safer.